As October draws to a close, Microsoft has announced the free Games with Gold for November 2018. These games will be available to download at no cost for Xbox One and Xbox 360 owners with a subscription to Xbox Live Gold. The titles in question are the Xbox One games Battlefield 1 and Race the Sun, as well as the backward-compatible Xbox 360 games Assassin's Creed and Dante's Inferno. That's $85 worth of games--not bad. November's headliner is Battlefield 1, a 2016 game that brings players back to the first World War. Its campaign is a series of single-player missions that tell stories across numerous real-world battles and locations. As is traditional for the franchise, the multiplayer mode is mostly composed of sprawling maps, with players battling using era-appropriate weapons and vehicles. Battlefield 1 will be free the whole month of November. And today's the last day, but you can get all of the multiplayer DLC by grabbing the Premium Pass for free. Race the Sun--free November 15-December 16--is a much simpler game, but it's likely to get you in the "just one more try" mindset. In it, you pilot a futuristic plane that hurtles ever forward as the sun sets in the distance. Your job is to avoid the many obstacles in your way and get as many speed boosts as possible. Each run ends either when you crash or the sun sets. You'll be able to see how far Assassin's Creed has come over its 11-year history if you download the first installment between November 1-15. Finally, Dante's Inferno plays a lot like the older God of War games, and it has you descend into hell to rescue your beloved Beatrice from the devil. It's available for free November 16-30. 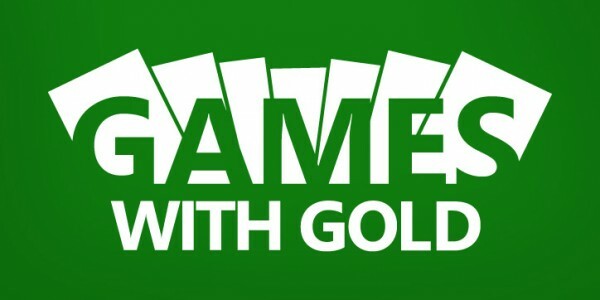 If you hurry, you still have time to download October's Games with Gold if you haven't done so already. Xbox One owners can grab Overcooked and the Xbox 360 game Hitman: Blood Money. The action-RPG Victor Vran is also available until November 15.